Poland isn’t commonly considered when discussions turn to countries and the beer styles they are known for. Belgium? Why we could wax poetic about the menagerie of strange and wonderful styles. Ireland? No problem, the dry stout. England? Man, we’re talking tales of the Porter, IPA, and Bitter. Scotland? Easy, the Scottish Ale. Finland? Aw, now we enter a harder realm, but I’d bet a few could dig deep and pull out that one beer, you know the one, it’s brewed with spruce tips. Ahh, Sahti. But, Poland? I see heads shaking and shoulders shrugging. Poland didn’t offer anything up to the annuals of world beer history did they? Aw, but they did. They gave the world Grodziskie (pronounced Grow-Jees-K’ya), better known today as Grätzer (pronounced Gret-Sir). Brewing arrived in what would become Poland in the sixth or seventh century as tribes settled the region. 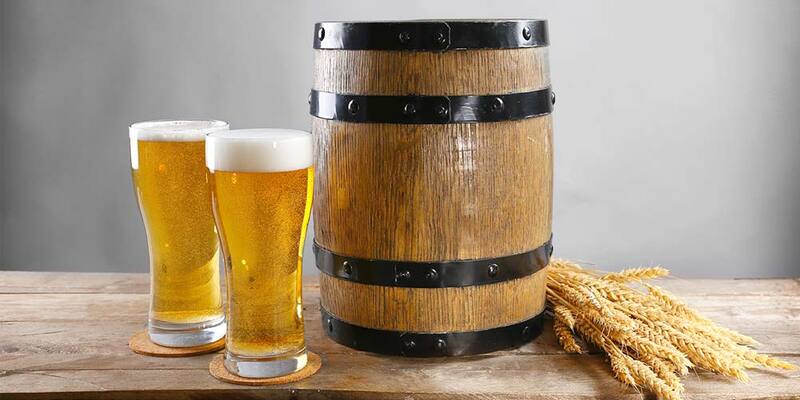 Wheat beer was known and made by the 15th century, and likely earlier. 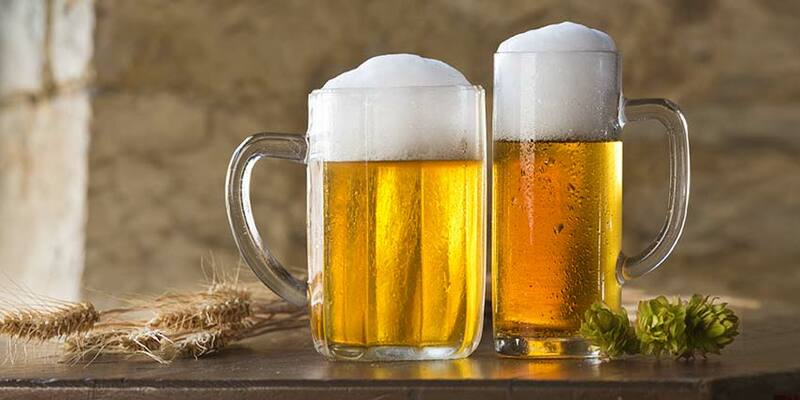 Other ingredients were used including millet, oats, rye, and barley; but it was a simple beer made from wheat, hops, and water that would become the favored drink of Poland. 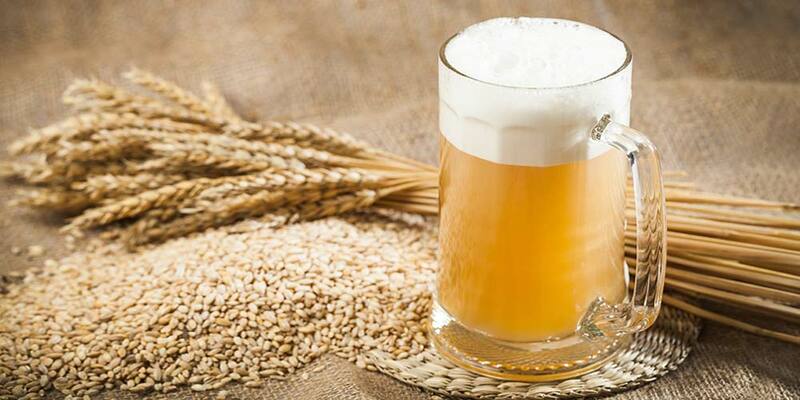 This wheat beer was simply called piwo (pronounced Pee-Voh); beer in Polish and several other Slavic languages. At least some of this beer’s fame came about because of the legend of Bernard of Wabrzeźno, a monk at the Benedictine monastery in Lubiń. Around 1600, on a visit to Grodzisk, Bernard found the people dying of disease, thirst, and hunger. The cities wells had run dry, including the largest, just outside the brewery. Seeing the peoples’ need, the monk began to ardently pray to God and soon the well refilled. It is said all who drank from the well were healed and the brewers soon returned to their work touting their water as something truly extraordinarily. In the mid 1600s, brewing became more industrialized and a unique example of quality control was put in place to protect the excellence of Grodzisk’s highly valued wheat beer. Each time the brewers made a new batch it was required to undergo a tasting by the mayor. The mayor decided if the standard had been met and whether or not the beer could be released to the public. If a brewer tried to bypass or cheat this system and was caught, he would be stripped of his brewing status for life. 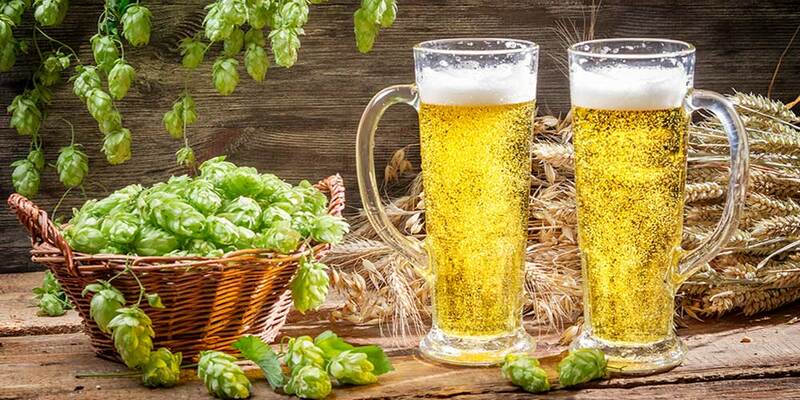 As the Gordzisk’s beer gained in popularity it became a commodity outside its area of origin. The first evidence of such exportation comes from a 1671 hatmakers guild rule in Wschowa (Fraustadt in German). The rule uses a named volume of Grodziskie as a penalty for charging to little for a hat. Further evidence can be found in a billing list, dated 1694 from the city of Poznań. The bill included entries for Grätzer beer. 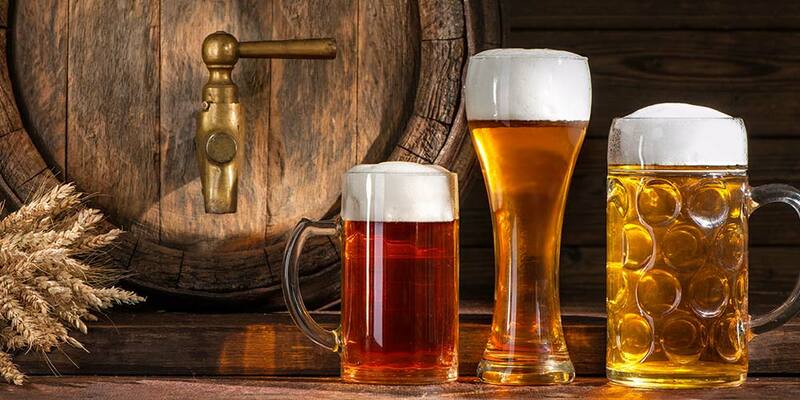 By the 1700s, the beer of Godzisk was so popular it had monopolized the beer scene in Poland. This popularity also seemingly made it a distinct style, because the earliest reference to the style, found by beer historian Ron Pattinson, is a 1773 reference in the German Oeconomischen Encyclopädie. In 1793, Grodzisk became part of Prussia, a result of the Second Partition of Poland. The partitioning up of Poland, in three such divisions, the last coming in 1795, would ultimately result in the disappearance of the Polish state. In 1918, the Polish people regained their independence, but during the intervening 125 years the town of Grodzisk was known as Grätz, which is why this beer style is known as both Grodziskie and Grätzer. Losing independence and becoming part of West Prussia doesn’t seem to have affected the brewing trade too extensively. In fact, the brewing industry in the town of Grätz, and in the district of Posen in general, seems to have flourished; the style finding its peak in popularity during this era of occupation. Grätzer became so highly prized in multiple countries that British investors under the corporation of “The Gratzer Breweries Limited” tried to purchase the five breweries in Grätz and gain a monopoly on sale of the beer. This sale of 1888 never went through for one reason or another, but the attempt clearly shows the value set on Grätzer. A 1914 description in ‘Bierbrauerei’ by M. Krandauer, posted by Ron Pattinson, gives a pretty good overall idea of the brewing process and what could be expected in a Grätzer of the time. In 1922, the Cabinet of Poland put Grotziskie under regional protection. This protection would remain in place through the Second World War, the ending of Communist control in Poland (1989), and all the way up to 1994, when the last brewery producing Grodziskie was bought out by a larger cooperation and ceased production. For 18 years, Grodziskie disappeared, at least commercially. In 1997, Randy Mosher brewed a version for Michael Jackson, which Michael Jackson writes briefly about in the Forward to Randy’s book Radical Brewing (There is also a recipe for a Grodziskie in the book). The style was truly revived and brought back from the brink when, in 2010, the Polish Association of Home Brewers was founded. A year later, they began efforts to revive Grodziskie beer. The effort included a yearly Grodziskie homebrewing competition, which is still running today. In 2011, the American brewery, Choc, became interested in the style and, after much research, and some hard work acquiring the appropriate ingredients, including one of the original yeasts, they brewed and released their version. (PDF) Sadly, it is not available any longer. That same year the Brewer’s Association added style guidelines for Grodziskie, albeit with several historical errors. Thanks to the efforts of the Polish Association of Home Brewers and Choc’s efforts the style has gained some traction. In 2015, Browar w Grodizisku opened and started brewing the style with the original recipe and one of the original yeasts from 1993. Also in 2015, the BJCP guideline revisions of 2015 added the style and corrected some of the inaccuracies of the prior guidelines. Brewer’s have started sitting up and taking notice of this, as well as other obscure styles, and it seems Grodiziskie has been brought back from the dead for a new generation of craft brewers and beer drinkers to enjoy. The guidelines for the Piwo Grodziskie style are set by the Beer Judge Certification Program (BJCP) Style Committee. The below details are a summary of what a Piwo Grodziskie should represent. Appearance: Pale yellow-gold with great clarity. Pillowy white head should form. Great retention. Aroma: Light to moderate oaky aroma with subtle hoppiness. Fruity esters and wheat are possible. No acidity. Flavor: Gentle oaky smoke carried through finish. Balanced bitterness with low hop flavors and notes of wheat. Mouthfeel: Light body. High carbonation with crisp and dry finish. The BJCP classifies the Piwo Grodziskie beer style under category number 27, “Historical Beer.” Other styles found in this category include: Gose, Kentucky Common, Lichtenhainer, London Brown Ale, Pre-Prohibition Lager, Pre-Prohibition Porter, Roggenbier, and Sahti. Color may range from pale yellow to medium gold. It should have superb clarity. Any murkiness is a distinct fault in the Grätzer style. A lattice of tightly-knit bubbles forms an impressive, pillowy, stark white head. Retention should be superb. It should have a clean aroma with the most prominent element being one of light to moderate oaky wood smoke, but even this can be quite subtle. 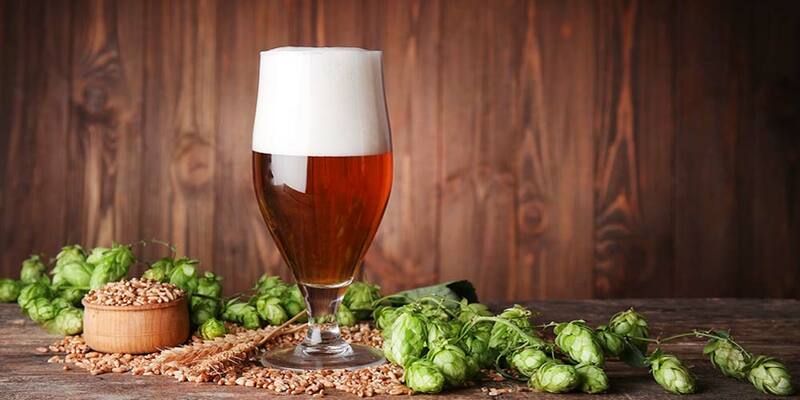 Hops may come through as lightly spicy, floral, or herbal and can be equal to, but should not overpower, the smoky note. Light fruity esters, especially pome, such as pear or red apple are fine. The wheat should be detectable as a low grainy presence. Low notes of sulfur are ok. No acidity. Carbonation is high, often creating a prickly sensation in the light body. There is no alcohol warmth. Finish is crisp and dry. The oak smoke notes found in the aroma can come through stronger in the taste, carrying from the front of the palate all the way into the finish. The smoke should never come through as acrid. Rather it should be gentle, even giving a slight note of sweetness to the beer. Balance is scaled toward bitterness, with a medium to high bitterness hitting mid-palate and hanging on through the finish. Some low pome fruit esters — pear and red apple — may be present. 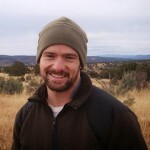 The graininess of the wheat should appear as a background element. Hop flavor is usually low but noticeable; carrying a spicy, floral, or herbal quality. Anything with a smoky element to it will work relatively well with this style. Smoked and grilled meats are our first stop when it comes to food pairings. Smoked meats paired with smoked beer, may make things a little too… well, smoky for some people, but it can also take the edge off an intensely smoky beer by adding in the meaty flavors. Grilling over flames may be a better approach. Anything grilled this way will inevitably have some light smokiness to it. When grilled up Kielbasa, hamburgers, hotdogs, salmon or trout, and any vegetables, all make worthy companions. Try a grilled fish summer salad or grilled fish tacos. Other foods to try: oysters, Mexican dishes, dishes including mushrooms with their earthy/smoky element, and Thai dishes. How about a smoked anchovy and mushroom pizza? Cheeses that pair well include smoked gouda, Swiss, Limburger, or the ash lined French cheese Morbier. For dessert? Try some grilled stuffed pears, or a smoked apple or pumpkin pie. Originally, it was served in a conical glass, much the same shape as a trumpet. This glass accommodated the thick layer of foam. Such conical glasses can still be found for wine and champagne. Otherwise, Grodziskie should be served at 50-55°F in a glass that can accommodate the large head, such as a 16 oz. tulip or large wine glass. They are best stored at cellar temperatures away from light and should be enjoyed within a couple months. Black Eagle Gratzer from Platform Beer Company – Great American Beer Festival Winner, Gold, 2015. Available: Unknown. Grodzinski from Iron Hill Brewery & Restaurant – World Beer Cup Winner, Bronze, 2012. Available: Unknown. Grätzer Historic Ale from Monarchy Brewing Company (Köln, Germany) – A collaboration with Brouerwij Jopen, and beer writers Ron Pattinson and Evan Rail. If you’d like to try your hand at brewing a Grodziskie recipe at home, we would recommend reading the tips below. Your grain bill for this one is about as straight forward as it gets: 100% Oak smoked wheat malt. Though, you can also do what Randy mentions in Radical Brewing and use about 93% smoked wheat, leaving the other 7% to be filled by non-smoked wheat, roasted to a copperish color. This will add a little more color to the beer. If you like smoke, but don’t love it, you could cut down the smoky element by substituting a small percentage of pilsner malt. The oak smoke and wheat malt lend a subtle, less intense character than what you’d find using barley malt and other woods for smoking. The German malting company Weyermann carries oak smoked wheat malt, as does the Finnish malting company Viking. The Weyermann malt will be easier to find than Viking, especially here in the U.S. But in 2016, the Colorado Malting Company started a contract with Viking. So, Viking malts are available at least through the homebrew shops that Colorado Malting Company supplies. An alternate option, for those who like a more hands on approach, is to smoke your own wheat malt. It’s important to note, you won’t get the exact same profile as you would buying the Weyermann or Viking malt, because you’ll be smoking malt that has already been cured. But if you want to give it a try it’s not hard and there’s lots of info about it online. The fast and short of it is: build a screen pane of some kind (a wood frame and wire screen meshing work well), place your malt in at about an inch deep, build a small fire in your smoker or coverable grill, put some water-soaked oak chips in the fire, put your malt pan off to the side – not directly over the fire, and cover. Let the malt smoke for 30 minutes to 2 or 3 hours. Because you’ll be dealing with all wheat, don’t forget to add rice hulls to help with the sparge. Use about a pound for a five gallon batch. Unfortunately there is no good way to replicate this profile using extract. So, if you’re an extract brewer, you’ll have to make the jump to all-grain before you give this style a go. Traditionally, the hop variety Nowotomyski (Tomyski) was used in the making of this style. Nowotomyski is a low alpha hop developed in the 1830s, and grown around the city of Nowy Tomyśl. It is almost impossible to find today. The other hop most associated with this beer is the Lublin variety. This variety is available in pellet form here in the U.S. If, for some reason, Lublin is not available any other Noble hop — Saaz, Tettnanger, Hallertau, or Spalt — will work well as a substitute. What your looking for is a relatively low alpha acid variety — both the Tomyski and Lublin varieties are below 5 percent. Another that would be fun to play with, though a little higher in alpha acid and tricky, but not impossible, to find is the Polish variety Sybilla. Even something like the American variety Sterling can work. The Grodziskie being brewed in 1993 was not much higher than 24 IBU, but earlier versions likely had higher IBUs. The style guidelines give you a range of 22-35 IBUs. Keep in mind; the low alcohol and high attenuation are going to make the hops more evident. Ultimately, what your target IBU’s are, is going to be up to your own tastes. If we look at both the IBUs and starting gravity, the average BU:GU (Bitterness to Original Gravity) is a whopping 0.9. Two additions are most common. An aroma addition is usually not a part of this style. The water around Grodzisk is well-known for its brewing quality and is considered one of the ingredients that made the beer famous. So, it’s important to be in the same ballpark with your water chemistry. The numbers below are an average taken from two wells close to the last operating Grodzisk brewery. The mash, at least as performed before the last brewery closed in 1993, was a step infusion mash with an acid rest of 100°F for 30 minutes, a protein rest at 125°F for 30 to 60 minutes, a saccharification of 158°F for 30 minutes, and a mash out at 167°F. This mash schedule is used partially because you are using 100% wheat malt and it is a highly attenuated beer. It also helps create that champagne like feel and a large billowy head. Sparge as you regularly would, but with the addition of rice hulls to aid in filtration. A long boil of around 2 hours was common in traditional brewing, with 85% of the hops being added 15 minutes into the boil and the remainder added at 30 minutes before flame out. If you want a little more aroma, you could add a third addition just a few minutes before flame out. The original yeast was a very low attenuating and early flocculating strain used until the end of the 19th century. Unfortunately this strain did not survive into the 20th century. In 1964, it was found that combining two different yeast strains’ came the closest to what the original yeast accomplished. One strain was very flocculent while the other was powdery; these were pitched together in a 1:2 ratio. When the highly flocculent strain was done, fermentation slowed and it was time to rack the beer. The second strain continued working even after bottling, creating the high carbonation known in the style. You could potentially play around with adding two different yeast strains with similar characteristics to those used between 1964 and 1993. Remember to find strains that will ferment rather cleanly. However, experimentation like this may be better left to a time when you have a good Grotziskie recipe nailed down and several batches under your belt. Fermentation will be quick. Cool the wort to about 61°F and pitch your yeast. Let the temperature rise a couple degrees then hold it. The yeast will be finishing up their work within 3 days, at which time you might decide to rack it to a secondary and use some sort of fining agent to improve clarification. Isinglass was traditionally used. If you do not want to use a clarifying agent, that’s okay, too. Most wheat beers will settle out if given some time. If you go this route just remember not to shake your bottles before pouring so the protein and yeast don’t re-suspend. Grodziskie was traditionally bottle-conditioned for 3 to 5 weeks. Keep the bottles at room temperature for the first week to help produce spritzy carbonation. Then store your bottles in a cool place (below 50°F) for the remainder. The carbonation for this style is between 3 and 3.6 volumes, thus the earned name “Polish Champagne.” This high carbonation requires a thicker, stronger bottle, such as the 500mL bottles that German beers often come in. Grodziskie is a unique style. It is smoky, refreshing, and low in alcohol. It’s something quenching for a summer day or a surprise replacement for champagne. Problem is, right now it isn’t easy to find, though this seems to be changing slowly. Homebrewing may be the only way to get your hands on it. And just think by brewing this style, getting to know it, sharing it with friends, you become one of the keepers of beer history. You help safeguard our brewing past. what about thee mash ph? Grodziskie styled beer, PH is not lowered original to give that extra taste from the wheat malt. Water PH was around 8. During mash it will lower by the Smoked Oak tot around 5.8. Better is to add gypsum when your water is soft, to replicate the hard bitterness.